Looking at the rest of our Bureau-Style Furniture? 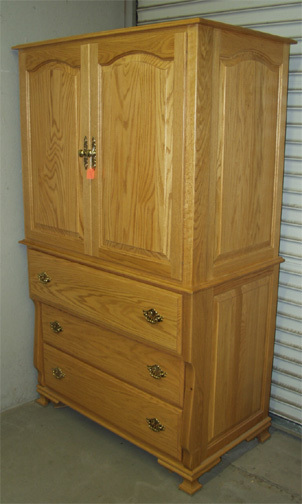 Well here is the matching Armoire to complete your set! This 2-piece unit features three adjustable shelves on the top and three 8” deep drawers with sturdy dovetail construction on the bottom. Another top-quality furniture investment from Clayborne’s!